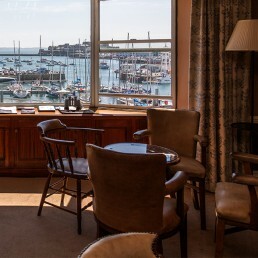 The United Club in Guernsey was established as a gentlemen’s club in 1870. 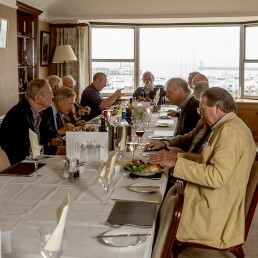 It has always been a ‘not for profit’ club established for the benefit of both Guernsey and non-resident members who are able to enjoy the convivial surroundings at the club’s premises. The Club took over its existing premises in 1919. The premises command excellent views over the harbour and beyond. 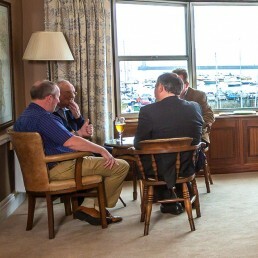 Over the last several years the Club has undertaken a refurbishment of all the main areas including the dining room, a new bar, upgrading the snooker room, and providing for a separate meeting room. As the Club is a private members club, membership is by application. A prospective member must be proposed by two current members and the proposer must provide a character reference to the Membership Secretary. There is a proposal form which has to be completed and signed by both the proposer and seconder. The minimum age at which a person is considered for membership is 21 years. The Club has reciprocal arrangements with other Clubs, whose members are most welcome to visit us. For a list of Reciprocating Clubs, please click here. Members are able to use the Club at any time. Lunches are available between the hours of 12noon and 2pm during each weekday. Daily newspapers and periodicals are available in the bar area. Free wifi access is provided on the premises for Club members. 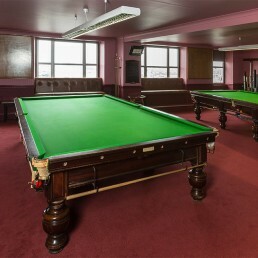 The premises include a well appointed snooker room, with two full sized tables, located on the ground floor. 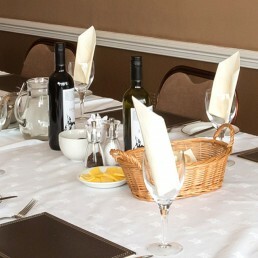 Members can hire rooms for private functions. The Club organises snooker and golf competitions which take place throughout the year. Members and their guests are expected to respect the Club’s dress code. Blue denim, tee-shirts and trainers are not permitted.